Home to Eleanor Porter, author of the famous novel Pollyanna, Littleton has always been known for the creativity that comes from it. For a small mountain town, Littleton has an abundance of places to see and buy local art and artisan crafts. Each gallery is a little different, so make sure you check all of them out. 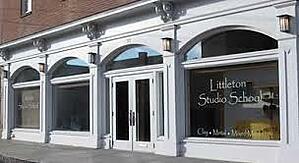 And, if you’re in town a little longer, take one of the many classes offered year-round at Littleton Studio School. Throughout town, you’ll find small and large galleries featuring a variety of art from local artists who call the North County home. 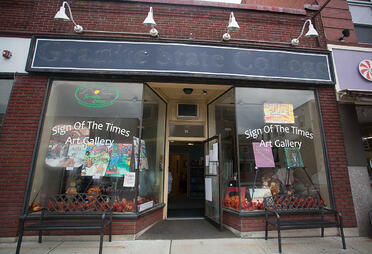 Located on Main Street, Sign of the Times Art Gallery showcases the work of Michael J. Bouton. Born into a biracial family at a time when biracial marriages were not widely accepted, Bouton dedicated his life to public service in the military, as a police officer, and an advocate for the homeless and those with drug addiction. His colorful artwork depicts life within inner-city Washington DC. Inspired by Mexican artist, Diego Rivera, his art is both affordable and slightly surreal. After retiring from being the Channel 5 weatherman in Boston for 36 years, Bob Copeland moved to Littleton and opened his own art studio on Ammonoosuc Street. Specializing in painting, prints, and photography, Bob is inspired by nature that surrounds him – the mountains, the Ammonoosuc River, and more. Bob has three galleries based on his interests. 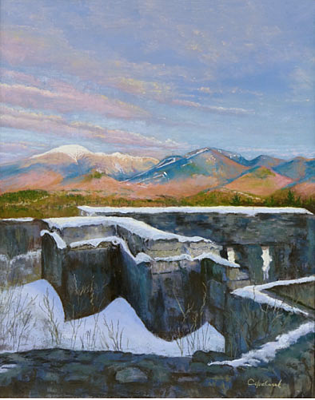 Gallery I is all about oil paintings and pastel impressions featuring many of New Hampshire’s famous peaks. Gallery II features Bob’s macro photography of nature. Combining his love of the weather and photography, Gallery III features weather photography in what he calls Atmospheric Abstractions. The North-of-the-Notch Studio is unique and definitely worth a visit. The studio is open to the public Thursday through Sunday from 11 am to 4 pm. 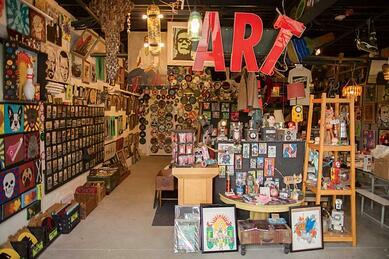 Bad-Art on Mill Street is eclectic and affordable art for the masses. Opened only on the weekends from 10 am to 7 pm, Bad-Art features unique art that you won’t find anywhere else. Featuring pop culture, like Star Wars, Dave Bowie, and more, you’re bound to find something that speaks to you. Bad-Art has recently expanded to include Mr. Puppys Tasty Vinyl, where you can buy all your favorite musicians on vinyl. Located on Main Street, the League of NH Craftsmen first opened its doors in May 2014. Managed by Beth Simon, a jeweler, the League of NH Craftsmen helps develop and showcase artists from our New Hampshire and beyond. The art gallery and gift shop contain a variety of art from baskets to glass to mixed media and everything in between. Featuring over a hundred artists at one time, you can find a unique piece for your home or pick up a gift for your favorite person. 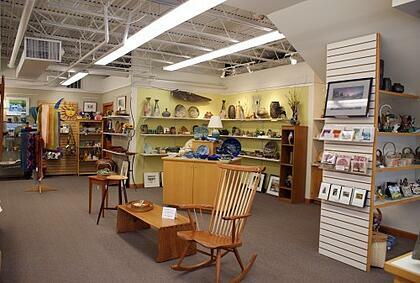 Opened daily, the League of NH Craftsmen is truly the artist hub for the North Country. Operating in partnership with the League of NH Craftsmen, the Littleton Studio School aims to be the “inspiration for art growth and a center for creative expression” in the North Country. Offering a variety of year-round art and craft classes to the public, the school is a place to bring out your inner artist. Choose from an assortment of classes for all ages and abilities, like clay, metal/jewelry, and mixed media. Classes range from single-day workshops to multi-week classes to fit all sorts of schedules. The Loading Dock is a unique performance art space on Mill Street. Completely run by volunteers, the performance space is used by local artists and touring bands for year-round performances. The Loading Dock is open to all ages and is a creative space that mixes art, music, and technology to create an incredible experience that you’ll only get in Littleton. Check out their events page for upcoming shows. 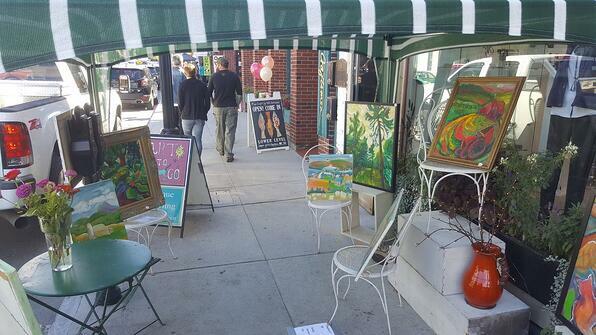 Throughout the year, Littleton is home to many art-focused events. The Littleton Art Festival occurs every September and feature art of the many local artists who call the North Country home. For writers, there is a weekly White Mountain Writer’s Group that meets on Monday nights at the Littleton Community Center to share their past or current creative works over cups of tea and snacks. And, of course, you don’t want to miss the Official Pollyanna Glad Day in June! For a small mountain town, Littleton is home to some incredibly talented people. 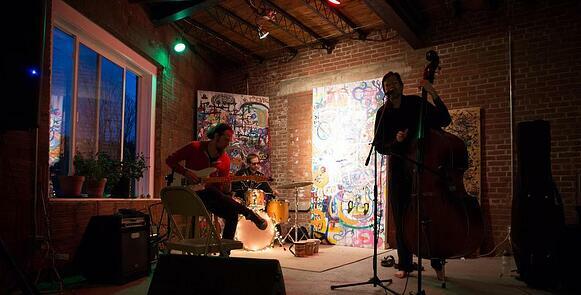 Next time you’re visiting, make sure you check out the local galleries and catch a show at the Loading Dock. 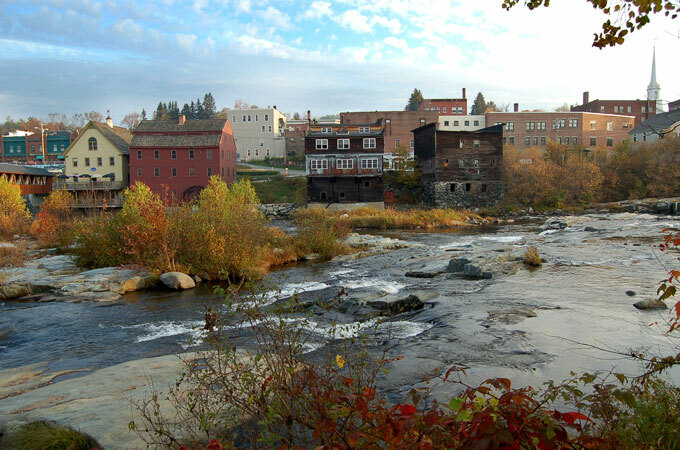 If you'd like to continue getting information like this about Littleton, Chutters, and the surrounding region, subscribe to our email newsletter!